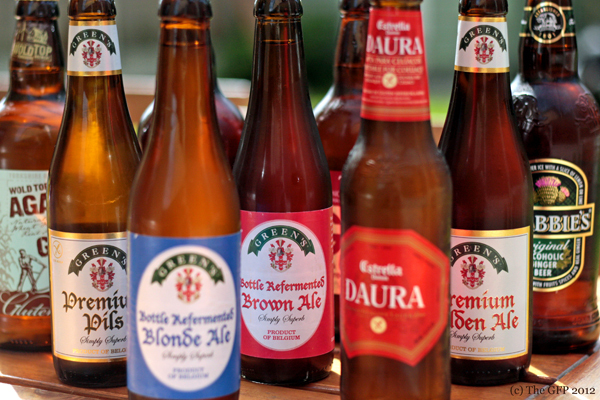 The Gluten Free Photographer: Still Here, Still Blogging, Still Trying To Finish My Beer Blog! Still Here, Still Blogging, Still Trying To Finish My Beer Blog! Domino's Pizza now have a gluten free pizza base available on their menu. I've given it a try and I've had no problems or side effects from eating their gluten free pizza and it's a pretty decent base for a large commercial franchise like Domino's. A step in the right direction, I think. Pizza Hut has released a gluten free pizza as well, but as far as I'm aware it's only in the UK. Has anyone tried/seen a gluten free Pizza Hut pizza here in Ireland yet? Would love to hear. The Foods of Athenry http://www.foodsofathenry.ie/ have recently announced on their facebook page http://www.facebook.com/TheFoodsofAthenry that they are in the process of creating more gluten free treats from their bakery. How exciting? I love their gluten free range and it is brilliant to hear that they are expanding it. It was announced that Heinz have decided to break into the gluten free market earlier this year. I haven't seen any signs of them appearing on the shelves here in Ireland (typically! ), but at least their products are to be made available over the border. http://www.thegrocer.co.uk. Hopefully we will see them expand to the Irish market soon. I can't help but think this is yet another example of how we miss out on the variety and ease of access to gluten free foods, compared to our neighbours in the UK. http://www.heinz.com/glutenfree/products.html Perhaps you have seen them on our shelves here already and I am selling them short? Let me know, it would be great news if these products could be found here. If you know of any beers that are missing on this list let me know. Also, I'm on the lookout for any new/existing gluten free and coeliac blogs out there. I want to continue to add to my Gluten Free Blog Love page http://glutenfreephotos.blogspot.ie/p/gluten-free-blogs.html So if you know of a great gluten free blog that should be listed here let me know! All suggestions welcome. So there you have it. A little update. I'm still here! I have been up to my eyes with my freelance photography work lately (a very happy complaint! ), that's why my blog has been so quiet for awhile, but I am definitely still trying to keep a presence here. I tend to keep both my facebook and twitter current with news from the gluten free world, so feel free to follow me there too, for more regular updates. A small sample of some of the beers being tested for the beer blog.